I think it’s easy for anyone to just throw an oldies playlist together. Just go to the Billboard Top 100 of the 50s and 60s. 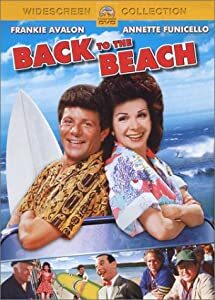 Haven’t those Frankie Avalon Solid Gold Oldies infomercials taught you anything? Big fan of “Back to the Beach” by the way. Do you think if Annette Funicello were an up-in-coming actress today, she would have to change her last name? Funicello. I digress. The great thing about music is that you can discover old music for the first time, years after it’s been created. Here’s my version of a solid gold oldies playlist. I’m hoping that you haven’t heard a few of the songs or artists before. Hey, it’s 5pm and I’m pretty sure that means cocktail hour. Press play, get a drink and dance your way outside because it’s absolutely beautiful outside. Well….it was! This entry was posted in Playlists and tagged 50s, 60s, Oldies. Bookmark the permalink.